Artifacts Gallery features the works of 50 area artists. Prices ranging from $3 to $3,000 to match the budget of every art lover. Featured artwork includes watercolor, pottery, handmade furniture, handmade books and mixed media. This gallery hosts special events, book signings and art shows throughout the year. 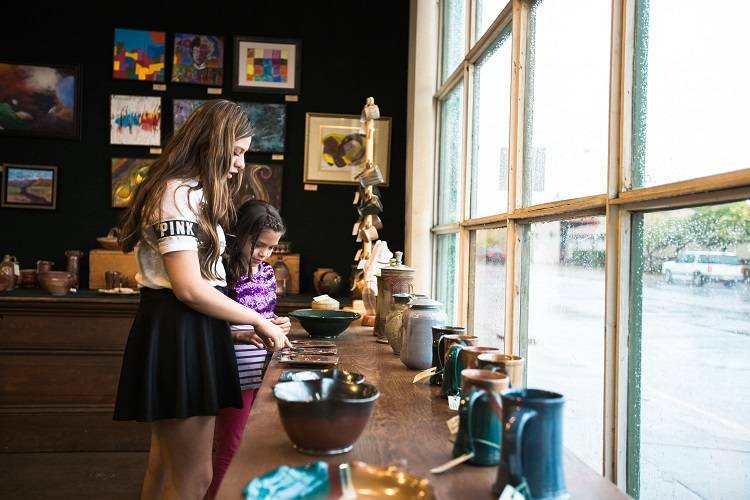 In addition to the beautiful art and locally made collectibles, Artifacts Gallery is also the home of "The Studio Bake Shoppe" and “The Chile Store”. The Studio Bake Shoppe is a popular local coffee stop that offers delectible pastries, excellent coffee and a beautiful space to enjoy them in! The Chile Store offers a variety of unique, made in New Mexico, chile products such as salsa, dry mixes, jellies and hot sauces.